Wally is a 4-year-old, 26-pound Cocker Spaniel boy. This handsome boy is full of life and personality! Wally loves to explore and is always ready for an adventure. His foster family has taken him to the beach and to the river and he quickly makes friends wherever he goes. Oh and did we mention that Wally loves water? This silly boy is always ready to make a splash and go for a swim, so if you are into water sports such as boating, kayaking, or paddle boarding, Wally is your guy. Or if you are simply looking for a companion to accompany on a leisurely beach walk, Wally would be happy too tag along, too. While Wally is all about the action, he is just as happy lounging beside you on the couch after a fun-filled day, or spending a lazy Sunday binge-watching Netflix. Whatever you’re plans are - Wally is your guy! Handsome Wally really loves his people and will make a loyal, devoted companion to whomever brings him home. The only thing Wally loves more than people is food. In fact, he really loves food and he isn’t always so intend on sharing it with other pooches. In fact, he likes other dogs to give him a bit of his personal space, so we think Wally would be best suited as your only dog. Wally has not had much exposure to children, so we think he would prefer to find a mature, kid-free home to call his own. You’ll see though — with Wally as your company, you won’t want for anything more in life! 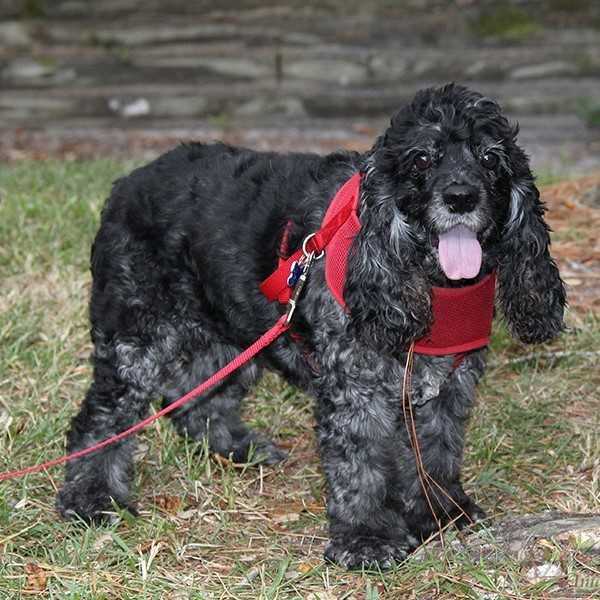 Wally is housetrained and will use pee pads while you’re away from home. Wally is heartworm negative, neutered, vaccinated, and just had his teeth polished. His adoption donation is $275.